Like many kids my age at the time (I assume), I was way into the Teenage Mutant Ninja Turtles. I bought the comics whenever I could - usually on trips to Eugene where there were a couple of nice comic shops. I had a lot of the toys, too - though my interest was in cutting them up and combining them into new characters. 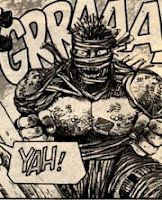 One minor character I had forgotten about until today was Ha'ntaan - the Rat King. In the original comics, the turtles pretty much killed him and moved on. He later returned in one issue of the cheesy, non-violent Archie comics series as the mysterious ruler of the horde of rats in the NY sewer system. This time around, he had a throne and even some dialogue implying that he and his rats would feast on the corpses of their enemies. But he didn't do any fighting or feasting. The turtles just asked him for directions and he just pointed. They never crossed paths again. Ha'ntaan has resurfaced in pretty much every incarnation of the TMNT story - comics, cartoons and videogames. But he has not done anything that really supports his self-proclaimed title. Coppola's Dracula, with his ability to turn into a vicious pile of rats, could have easily taken the rat throne if he had so desired. It seems a bit beneath him though, considering the other cool things he was capable of. With no contenders, the crown still rests upon the thousand, furry heads of the original bundle of rats that ruled the sewers of legend in times of yore. 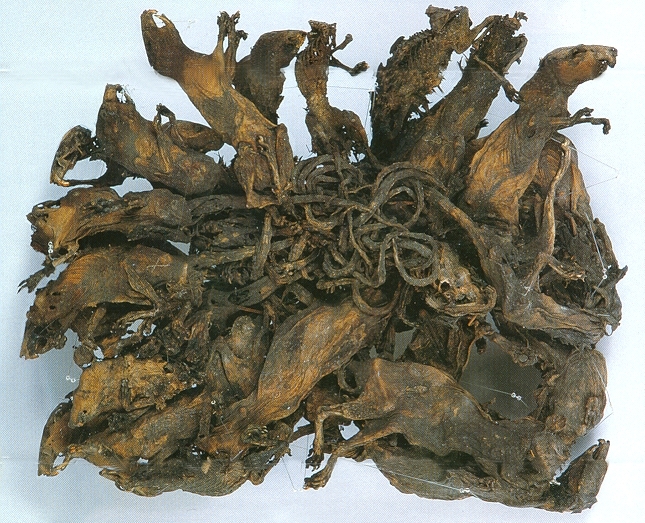 All hail the Rat King.